Our Center currently offers several different beading classes, Birthday Bracelet Beading Parties, Bridal Showers, group events or gatherings for children, teens, and adults. Creating our own masterpiece allows us to connect with the right side of the brain. 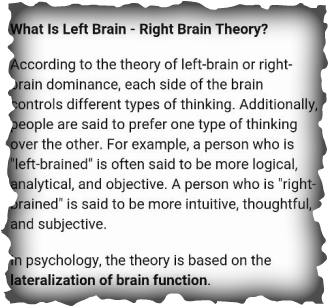 The right hemisphere coordinates the left side of the body, and performs tasks that have to do with creativity and the arts. Have you ever noticed when you are painting or beading a bracelet you very focused and into your creation, maybe you're quiet, and sometimes demand others be quiet! Well that's because being an artist even if it's the first time you're creating something you'll go into your mind, the right side of your brain, the creative, calm, and relaxed state resulting in your one of a kind masterpiece or party favor! Schedule your Birthday Party or Event here!